Left: Hathcock in November 1996. Right: Carlos Norman Hathcock II. Courtesy of Carlos Hathcock (son). Carlos Hathcock was born on May 20, 1942, in North Little Rock, Arkansas. He was the only child of Carlos and Agnes Hathcock. His parents separated so he grew up with his grandmother in Geyer Springs, Pulaski County. From an early age, he was fond of firearms. His father brought him an old Mauser that he had purchased in Europe and gave it to him when he was three. When he was about 10-years-old he hunted for food for his family using a JC Higgins 22-caliber. When he was fifteen, he dropped out of high school and worked for a Little Rock concrete constructor until 1959. Carlos Norman Hathcock II. Courtesy of Carlos Hathcock (son). At an early age, he showed both an aptitude for marksmanship and a desire to serve and on May 20th, 1959 – his 17th birthday – with his mother’s written permission, Hathcock enlisted in the United States Marine Corps in Little Rock. He was sent to boot camp in San Diego, where he qualified at the expert level in marksmanship. He was transferred to USMC Air Station at Cherry Point, North Carolina, in 1962 where he set the record on the “A” range by shooting 248 out of a possible 250. He would prove his excellence on the world stage, winning the Wimbledon Cup, awarded to the winner of a 1,000-yard shooting match, in 1965. In 1966 Hathcock volunteered for combat and was quickly recruited as a sniper in the Vietnam War by Captain Edward James Land. This is when the legend was born. 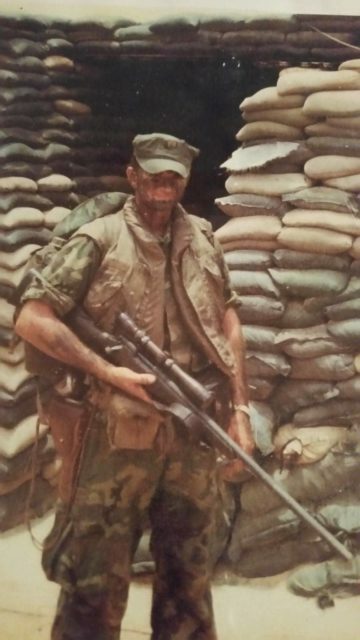 During the Vietnam War, he was known to his fellow soldiers as “Gunny.” Gunnery Sergeant Carlos Norman Hathcock II had 93 confirmed kills as a sniper during the Vietnam War, but his actual total is estimated to be more than 300. 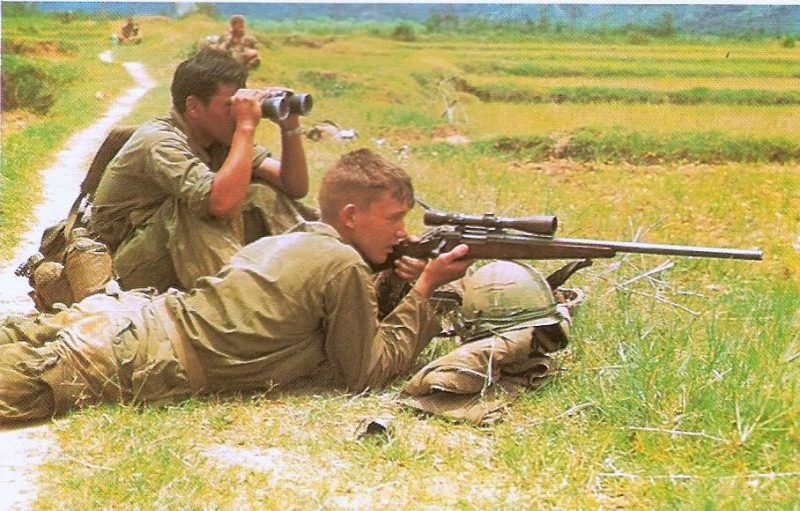 He wanted to operate alone and during his service in Vietnam, he would be remembered for changing the sniper’s combat role forever. Hathcock was deployed to Hill 55, just miles south of Da Nang where he would become a true nightmare for the enemy soldiers. The North Vietnamese Army gave him the nickname “White Feather,” for the feather he wore in his bush hat. He was so successful doing his job that the North Vietnamese Army had a bounty of $30,000 on his head. Hathcock himself estimates that he killed between 300 and 400 enemy combatants. He managed to set a record for the longest documented sniper kill at 2,500 yards (1.42 miles), but this is only the beginning of his incredible story. 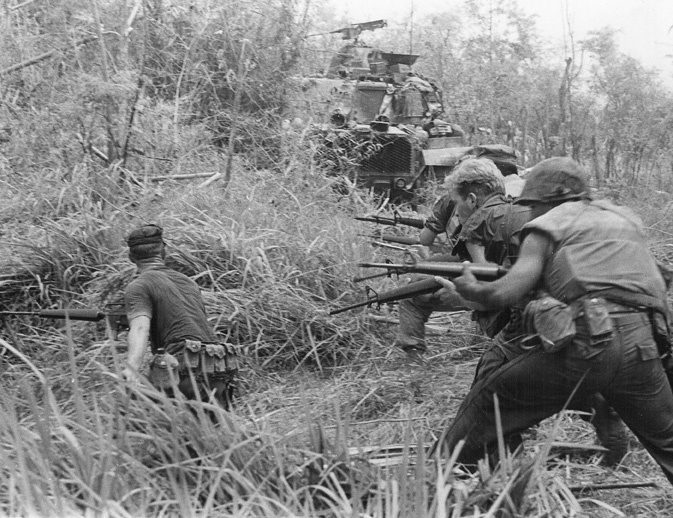 His most legendary kill was when he shot an enemy sniper named “Cobra” who was hunting him because of the $30,000 bounty that the Viet Cong had placed on “White Feather.” Hathcock found a suitable position and waited for his enemy to show up. He saw a glint of light in the jungle foliage and squeezed the trigger of his Winchester Model 70 30-06 rifle. The kill was made without ever seeing his enemy and what is even more fascinating when he approached the fallen enemy he noticed that the bullet had passed through Cobra’s scope, traveled its length and entered into the enemy sniper’s eye. Another legendary kill was that of an NVA general. It was a very dangerous mission but Hathcock volunteered. He spent four days, with little food and no sleep, crawling towards the general’s position. After two days, the general was finally within range. He shot the NVA general right through the heart from about 700 yards. He shot the general, but his mission wasn’t yet completed so he crawled back just like he came. On September 16, 1969, the transport he was riding in was struck by an anti-tank mine. He had burns covering 40% of his body but he still managed to drag seven Marines from the now-engulfed vehicle. His tour in Vietnam was over. When he recovered from the burns he served for another ten years, training USMC snipers. He had been diagnosed with multiple sclerosis in 1975 and he had to retire in 1979. 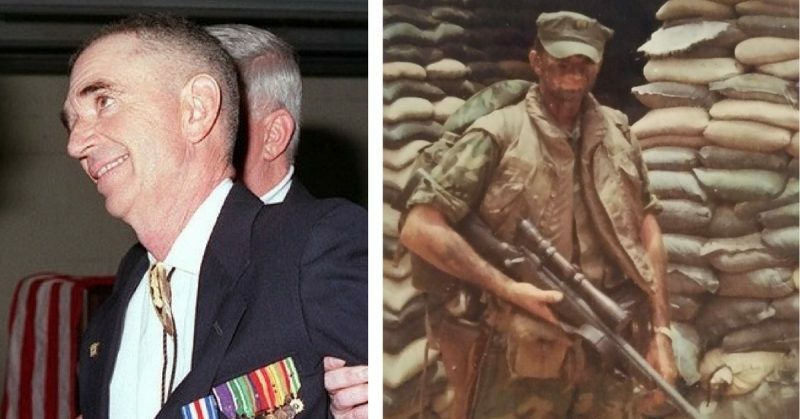 In 1996, despite his protests, he was awarded the Silver Star, not for sniping, but for saving the seven fellow Marines back in 1969. 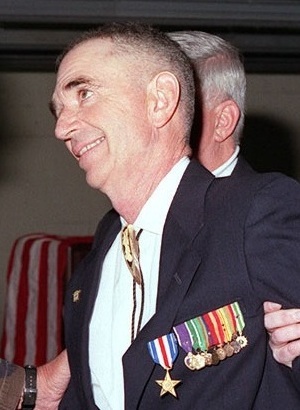 Carlos Norman Hathcock II died on February 22, 1999.